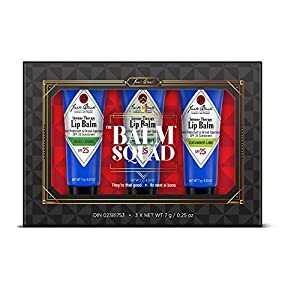 JACK BLACK – The Balm Squad Set – Intense Therapy Lip Balm SPF 25 Trio. Natural Mint & Shea Butter, Cucumber Lime, Basil Lemon. Exclusive Limited Edition Flavors. 3-Piece Kit.